To send a message directly to our Chief Executive Officer, please select CEO in the dropdown menu. If you have any general questions or concerns, please select General in the dropdown menu. If you’d like to leave Feedback, please select Feedback in the dropdown menu. The Richmond Ambulance Authority is dedicated to delivering world class service, and engaging with our community. All the feedback we receive is reviewed and used to ensure we meet the needs of our patients, community partners, and residents in the City of Richmond. If you are a member of the media and have an inquiry, please contact our Public Relations/Media Manager by selecting Media Inquiries in the dropdown menu. You can also call 804-254-1109. To make a FOIA request, please select FOIA Request in the dropdown menu. To contact our billing office, please select Billing in the dropdown menu. Please do not send personal identifiable information (i.e., insurance, health, etc.) General information only. To speak directly to a billing representative, please call the above toll-free or local phone numbers provided. 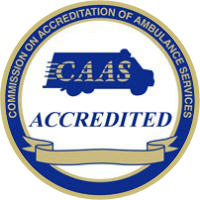 Richmond Ambulance Authority is committed to protecting the privacy and health information of all our patients. Please click here to view our HIPAA policy. To contact the Human Resources department about job openings at RAA, please select Human Resources in the dropdown menu.